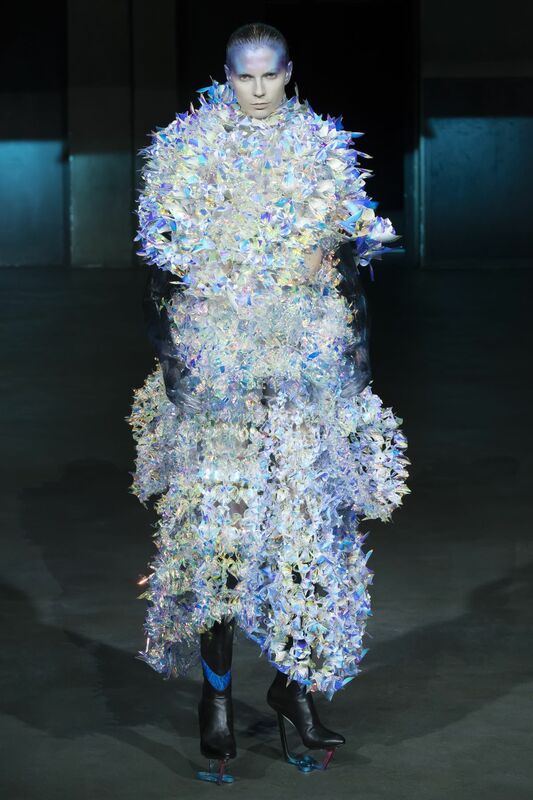 Fujifilm has lent its considerable technological expertise to dress designer Yuima Nakazato, the first official Japanese guest designer to take part in the Paris Haute Couture Collection since Hanae Mori 12 years ago. FUJIFILM Inkjet Technology made a major contribution to the production of the extraordinary outfits that shine with a bright and mysterious aurora-like light. The dresses have been heavily featured in international fashion magazines since the show, winning a favorable reception. 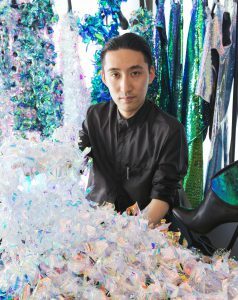 In 2009, Yuima Nakazato launched the brand YUIMA NAKAZATO, and has since then continued to showcase creations that make skillful use of “hologram” light effects. This most recent creation looks as if small countless colored folded paper cranes have flocked together, responding to the surrounding light by emitting their own shimmering colors. These creations are built from uniquely-shaped “cells” (or units) and use special holographic material completed over six years of research together with a hologram manufacturer. Images are printed on the material using Fujifilm’s Acuity Select 20 wide-format UV inkjet printer, together with the company’s high-elongation Uvijet KV ink. To create a single unit, an A5-sized piece of printed material is finely cut using a cutting plotter. Each individual unit is carefully folded into shape, as with origami. More than 1000 of these units, folded by approximately 100 staff, are combined and assembled to match the model’s figure. In this way, without using a loom, fabric, or any stitching, a single YUIMA NAKAZATO dress is created. Leading Fujifilm’s supply of technical support to Yuima Nakazato was the Open Innovation Hub (OI-Hub), which was launched in 2014 as a place for collaborative value creation from Fujifilm Group’s resources including technologies, products, and materials. 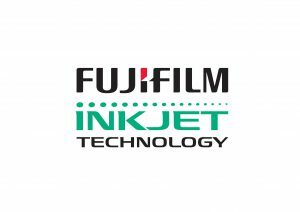 The OI-Hub received a request from Yuima Nakazato to provide support for his submissions to the Paris Collection, and Fujifilm promised to cooperate, introducing him to FUJIFILM Inkjet technology as well as technology for specific highly functional materials. Previously, it was only thought possible to create four different types of colors using holographic fabric, but through a rigorous process of experimentation, Fujifilm was able to develop a method of printing graphics on a composite transparent backing material using Uvijet KV ink. This greatly expanded the possible expressive range of holograms. 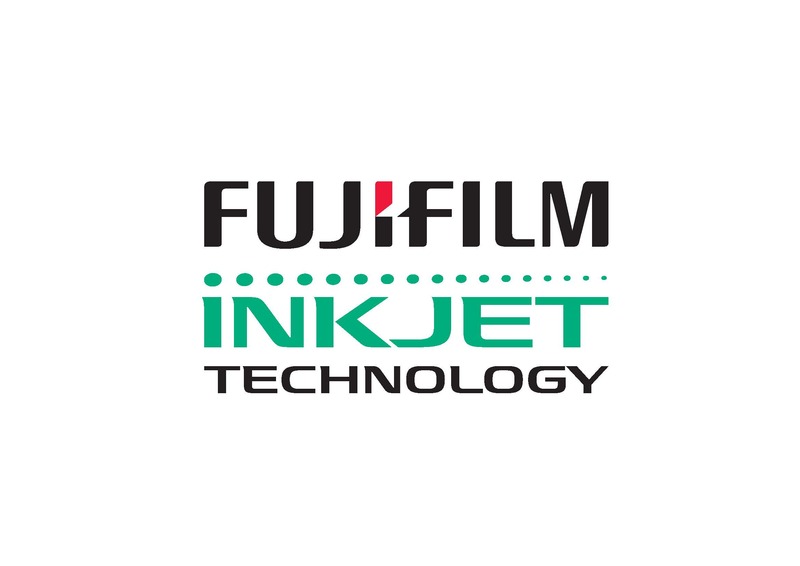 Says Mr. Nakazato on the technical cooperation with FUJIFILM: “Previously, I have focused on holograms and repeated various kinds of research, but I was able to achieve my goals by focusing not on the textiles but on the film. I’m very grateful to Fujifilm for this collaboration. I had always wanted to expand the expressive range of holograms, but as the surfaces of films are extremely smooth, there was always an issue of getting the ink to adhere even if you could print on the film. What’s more, as we’re using this material for fashion, there is a lot of friction and it needs to be extremely robust. There were actually, even more technologies and special films Fujifilm introduced to me that I did not get the chance to use due to time constraints, so I am extremely interested in continuing this collaboration”. Uvijet KV Ink is an ink developed exclusively by Fujifilm for its wide-format UV inkjet printers with various specific properties including elongation in excess of 1000%, among the highest in the industry, as well as strong adhesion capability on various media including plastic sheeting and coated metal sheeting, and strong thermal resistance enabling the maintenance of image quality even in environments of around 200°C. It is available in CMYK and White, and these five colors make it possible to print a full range of colors and gradations on processed products such as vacuum-formed products where such printing was previously difficult. The ink also demonstrates excellent adhesion and a wide expressive range when used to print YUIMA NAKAZATO fabrics. Other applications include interior automobile components, smartphone cases, and vending machines, expanding the range of available colors in a wide range of different fields. Born in Tokyo in 1985. He moved to Europe by himself at the age of 17 and studied at Royal Academy of Fine Arts Antwerp. In 2008 and 2009, he entered International Talent Support, Europe’s largest student contest, winning the YKK Prize two years in a row. In 2009, he launched the brand YUIMA NAKAZATO. In 2011, he was selected by the US publication V Magazine as a future talent. In July 2016 he won plaudits for his Paris Haute Couture collection. He currently works to provide costumes for some of Japan and the world’s most dazzling artists including Madonna, the Black-Eyed Peas, Lady Gaga and Exile while also continuing to lend his unique creative talents to a wide range of fields through projects including work as the costume designer on the film Lupin the Third (the live-action version) and SUPERLOSERZ, a stage performance by Amon Miyamoto.